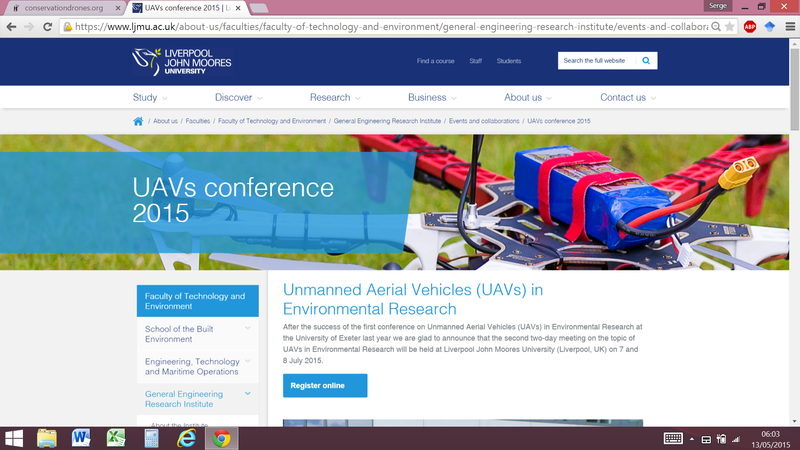 From 7-8 July the 2nd UAV and Environmental Research Conference will be held at in Liverpool. The conference is co-organized by Serge Wich from ConservationDrones.org and LJMU. More information is available here. Places are still available so register if you are planning to attend.